Phone hacking scandals. News of the World forced to shut down. Officials in the pockets of unscrupulous tabloid hacks. “Ouch” for journalism! It’s a pretty rough time for journalism, as the phone hacking scandal rumbles on, so why not look for some escapism in this list? 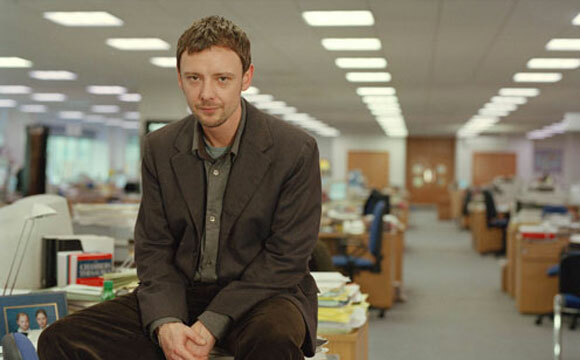 Julia Kukiewicz takes a look at ten films where the journalist is king. From Grant Hezlov’s The Men Who Stare At Goats based on investigative journalist Jon Ronson’s experiences to the infamous Watergate scandal and the work of Bob Woodward and Carl Bernstein in All The President’s Men. Jon Ronson is an investigative journalist, whose book of the same name is a funny, fascinating look at bizarre techniques used by the US military. 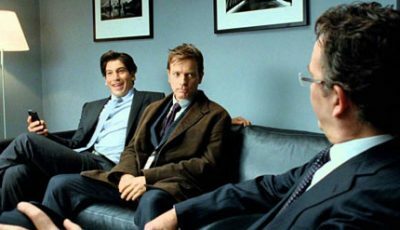 That accounts for the film’s big names – George Clooney and Ewan McGregor – and, perhaps, for the disappointingly meandering plot too. But the protagonist, apparently based on Ronson, remains a plucky reporter throughout. A reminder that digging dirt is just one aspect of journalism, this extremely questionable but very watchable rom-com is set in the kind of women’s magazine where everyone takes their shoes off at meetings. Kate Hudson spends an entire week being as irritating as possible for a feature. Only to accidentally fall for the guy she’s trying to drive away. Many desk-bashing speeches (“Who told you your incompetent little fingers had the requisite skills to edit me! ?”) in this story of the attempt to get a tobacco industry whistleblower to appear on 60minutes which even managed to highlight the owner of CBS’ involvement in Big Tobacco in real life. 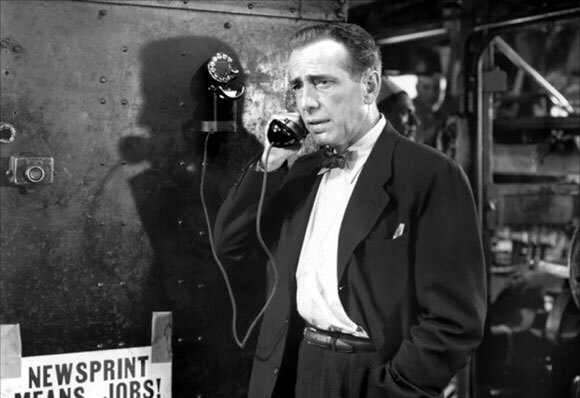 Humphrey Bogart can’t stay away from a story, even when his paper The Day is just three days away from being shut down. With only a few days to go, he launches a crusade against a local gangster he believes is responsible for murder and gets to make plenty of desk-bashing speeches in the process (“as long as even one newspaper will print the truth – you’re finished!”). You root for the teenage reporter and rock fan spouting off to Rolling Stone (“it’s a think-piece about a mid-level band…struggling with their own limitations in the harsh face of stardom”) and accidentally getting the front cover, if not the girl, in the process. 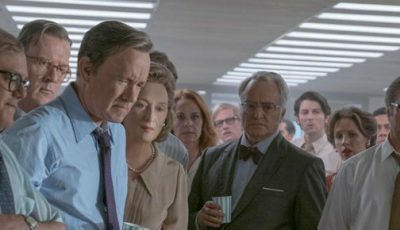 The film version slightly mangles history a bit to wring the drama out of the Nixon interviews – David Frost, a successful interviewer both in the UK and abroad, is portrayed as a gutsy outsider on his last chance. 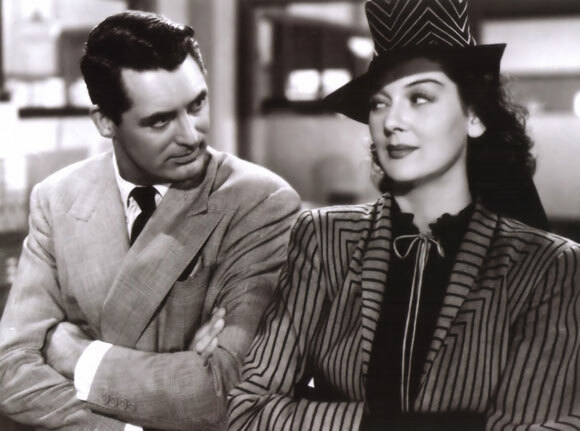 When Cary Grant sets his mind to winning over a fellow reporter dead set on leaving her job to settle down with an insurance salesman, he does it by concocting a story she can’t resist. Soon, she can’t resist him either. 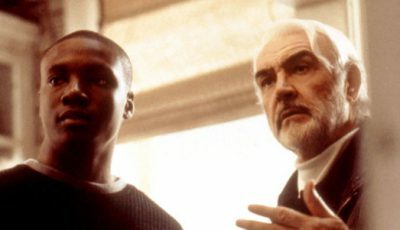 Denzel Washington plays a Washington Herald reporter protecting a law student who has uncovered an unsettling truth (Julia Roberts), in this high-stakes thriller based on a John Grisham novel. If possible, go with the original 2003 BBC TV series rather than the slightly dodgy remake with Russell Crowe and Helen Mirren. Either way, the reporters are the heroes – even as, in true British tradition, they’re also heroically boozed throughout. Of course. This classic, focusing on Woodward and Bernstein’s attempts to uncover the Watergate scandal, does perhaps rely on slightly more knowledge of the crisis than can be assumed of modern audiences (by which I mean, I got a bit lost) but there’s no arguing that the reporters are the heroes here. Read Top 10 Films editor Daniel Stephens’ review of All The President’s Men here. Like most that you make this is a nice list.Very pleased you included the underrated Humphrey Bogart film ‘Deadline’. Also spot-on with #1 being ‘All the President’s Men’! Keep up that good work 10 at a time! @Jake: Cheers Jake, thanks for stopping by. @Tommy: Love Fletch! Great choice. And Superman surely has to be the best reporter to ever grace a cinema screen(he’s definitely the most heroic!). Nice job putting the State of Play miniseries on there. The film version was okay, but it really had to condense an intriguing story. I’ve rarely seen a better look at investigative journalists than the BBC series. I’d actually put the Insider near the top, but I’m also a huge Mann fan. And I’ll second the comment about Good Night and Good Luck. That’s one of the great looks at brave journalists and the clash between commerce and taking a stand. -The Story of G.I. Joe – although the film is not great, it’s subject, Ernie Pyle, is perhaps the most important war correspondent of WWII. His writings are still moving today. just my two cents – enjoyed reading this! @Dan: Interesting thoughts Dan. 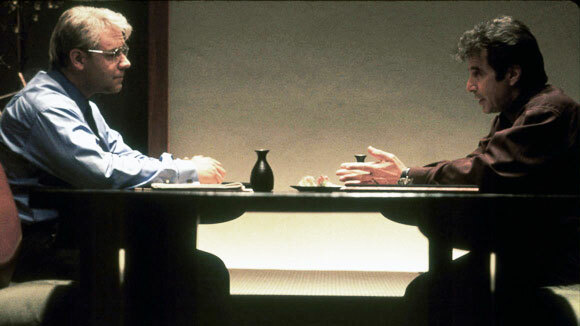 I thought the film version of State of Play was excellent but then again it is perhaps a more compelling story in the miniseries where the additional depth is available over the six episodes. @CitizenScreen: Thanks for visiting Aurora. Some really good suggestions, especially The Story of G.I. Joe. If audiences don’t watch the film (which is definitely worth checking out), his pieces written during the war are must-reads for budding journalists. There are a few I haven’t seen but I LOVE the inclusion of The Insider. It’s such a compelling film that boast a fantastic performance from Russell Crowe, I also like the State of Play remake starring Crowe as well. I know it’s not the best film about journalism but I think Up Close & Personal is pretty sweet where Michelle Pfeiffer played a TV reporter who ended up falling for her boss, Robert Redford. Seen all bar Frost/Nixon (don’t ask) and The Men Who Stare At Goats. great list, Julia. I agree with your top three choices wholeheartedly. 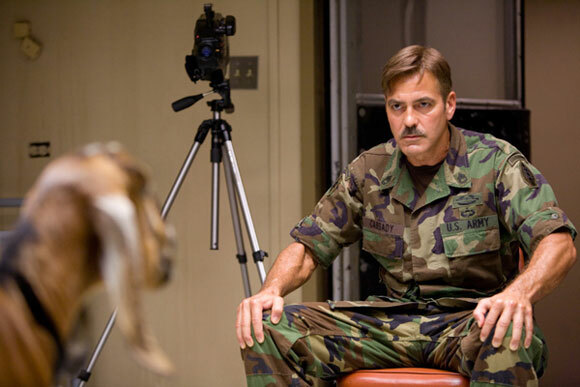 I second the notion that The Killing Fields could have been included, perhaps at the expense of How To Lose A Guy In Ten Days. I mean, a Kate Hudson rom-com as a prime example of successful journalism? Puh-lease! Good work on this list! Nice to see The Pelican Brief here, haven’t seen that one in a while. 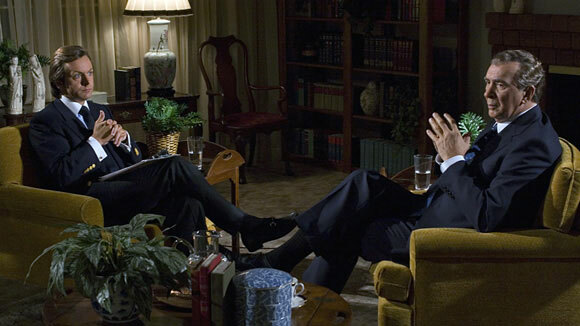 And Frost/Nixon, a film I actually didn’t think was half bad. I was expecting All the President’s Men to top the last. Great that my prediction turned out to be correct as it sure deserves that top spot! I think Good Night and Good Luck could have made the list. Even Pakula’s The Parallax View perhaps. I personally prefer the darker and edgier movies on journalism though – be it Ace in the Hole or Sweet Smell of Success. Interestingly, a number of noirs, like The Big Clock, had journos playing key parts in the films without them really being about journalism. @Shubhajit: Ace In the Hole is a brilliant film, good call! I loved Almost Famous. Maybe a little too much at the time!! Thanks for putting this together you are the master of the Top 10!! Ahaha you cheated, that 6-part BBC series shouldn’t count as a film! Maybe include the Russell Crowe film instead 😀 Great list though! Not that I think it belongs in a top ten list like this…could Broadcast News be considered? I had to click on this article because of ‘Almost Famous’. I wanted to get into music journalism because of that film (never did). It’s one of my favorite films. I was wondering where ‘All The President’s Men’ was. Good place for it. Great to see Almost Famous in the list. I love that movie. Have to still watch Deadline/FrostNixon/State of Play, but from your list I’m going to bump the State of Play series right up my watch list. Good stuff! Love reading this list & thanks for reminding me of a few I forgot. I also wanted to share with you a great new independent film starring Eric Roberts & Steve Talley called Deadline coming out in Feb 2012. This is an awesome movie for those investigative journalism fans & is based on a true Southern story. The story centers around the murder of an African American youth in rural Alabama that has gone uninvestigated, unsolved and unpunished for almost 20 years. But things take a turn when Nashville Times reporter Matt Harper meets a young blueblood determined on discovering the truth. 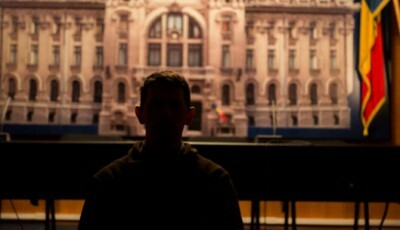 I guarantee it won’t disappoint & encourage you to go to deadlinefilm.com for more details & info! I disagree with your decision to make Shattered Glass ineligible. The end scene (I won’t spoil it) restores my faith in them and journalism. Can’t disagree with #1, though. You should definitely check out Sam Fuller’s Park Row. 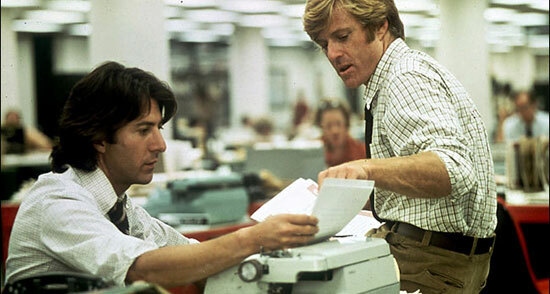 To me it is the ultimate film about journalism. And what about Hitchcock’s Foreign Correspondent? Admittedly I haven’t seen the whole film (stupid me – they were playing a 16mm film version at uni circa 1985 and I walked out to drink cheap beer), but when Joel McCrae sez something like: “What about this Hitler guy – maybe we can tee up an interview with him?” it succinctly sums everything up about the ignorance of air headed trainee journalists. Nice list Julia…….however I definitely would of included Shattered Glass on this list. The movie really showed inner workings of print journalism. It is such an engaging film.